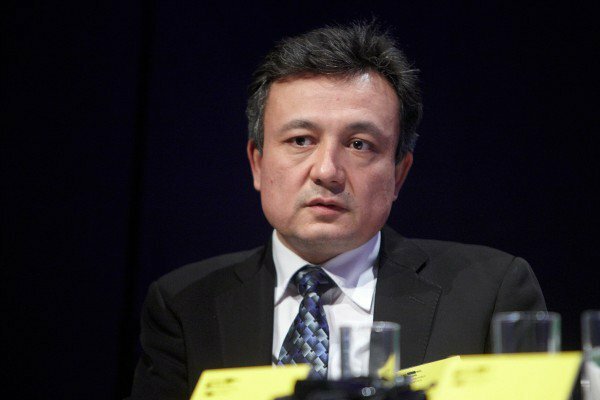 (TibetanReview.net, Apr23, 2016) – China has suggested that it expected India to detain and handover Uyghur activist Dolkun Isa of the Munich-based World Uyghur Congress (WUC) when he visits Dharamshala later this month to take part in a conference on democracy and China, claiming he was a terrorist. Dolkun, of course, is not a terrorist any more than the Dalai Lama is a separatist as also claimed by China. “Dolkun Isa is a terrorist on red notice of Interpol and the Chinese police. Bringing him to justice is a due obligation of relevant countries,” hindustantimes.com Apr 22 quoted China’s ministry of foreign affairs as saying in an emailed response. China has accused him of terrorism and bombing and was granted asylum in Germany in the late 1990s. The conference is being organised by the US-based “Citizen Power for China” led by Dr Yang Jianli, who was involved in the 1989 Tiananmen Square protests. It will be held from Apr 28 to May 1. Exiled Chinese activists from across the world will gather to discuss democratic transition in China. The conference is expected to be addressed by Tibet’s exiled spiritual leader, the Dalai Lama. While China claims that it has a serious terrorism problem in Xinjiang, an occupied Muslim populated territory, human rights groups say the violence is more a result of Beijing’s hardline policies and a reaction against the government’s efforts to subsume the unique local culture. While countries may detain a person on an Interpol red notice, they follow their own law to decide whether there is sufficient evidence to warrant his extradition. Dolkun has said he has no problem travelling in the European Union countries, although he has to be careful about his travels elsewhere as he had been detained at the borders of some other countries. WUC spokesperson Dilxat Raxit has said he hoped India was following the situation of Uyghurs in Xinjiang and sought its solidarity with their fight for justice.